other Open Cahes that are history related. Hey, I like thE historical attribute! Add Ohio to the mix. Too bad this one has yet to logged. Someone logged the nearby Earthcaches earlier today. This one didn't pass the mustard for an EC. traffic. Correct me if I am wrong but I think virtual caches are not popular at all. I definitely enjoy the virtuals. I hear many people say they love them, but physical caches really are the mainstay of the hobby. 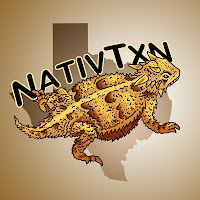 I just submitted one for the Monument Hill State Historical Park in LaGrange, TX. Site of the "Black Bean Incident". It's a really nice park with good walking trails. "Virtually" none. Not so much because they are virtuals as because they are on OCus. I have a fairly large number of registered OCus Cachers here in the Charlotte area but they are not active on the site. I am only able to pull in a few for a FTF and after that it is very slow going on finds of any type. When I manage to get a new OCus cacher they will usually grab a few then tapper off. Overall the Virtuals here do have fewer finds but the numbers on other cache types is not impressive either. http://www.opencaching.us/viewcache.php?cacheid=709 was just published. I got approval from Park staff. This is the site of the "Black Bean Incident" in Texas history. Yes this is good, can you post these to our blog? It is easier when people post them as comments.